The holidays are such a magical time. 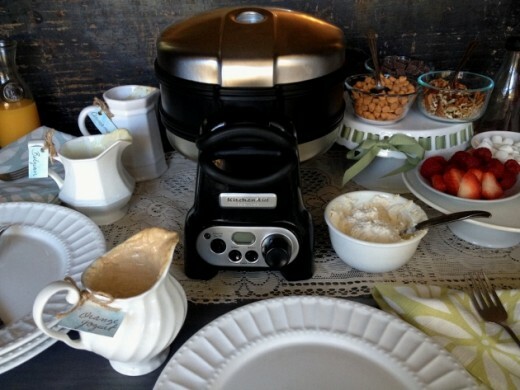 Parties and get-togethers with family and friends are abundant. Holiday cheer is around every corner. 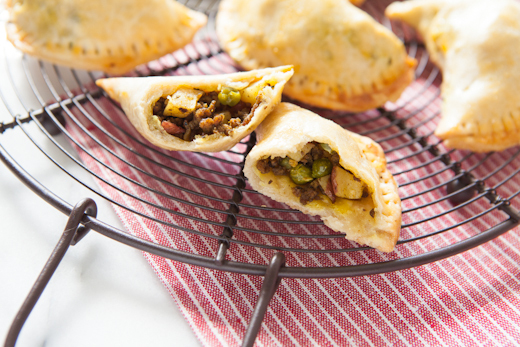 With the many opportunities for dinners and parties comes the need for some crowd-worthy recipes to enjoy together. Today, I have one of my favorite holiday main courses, Garlic Herb Pork Tenderloin with Roasted Onions and Mustard Sauce. It’s a long name, but this recipe is amazing and it offers opportunities for the cook to experiment and adjust the flavors to suit their own personal taste. I love a recipe that allows me to make it my own! Since my kitchen renovation this summer, I have had a renewed sense of wonder while cooking. The beautiful space has made me feel alive again and ready to settle in and enjoy my time in the kitchen. One of my favorite features of our new kitchen renovation is the KitchenAid® Black Stainless 30-Inch 5-Burner Gas Slide-In Convection Range. Not only is the look of the Black Stainless finish gorgeous with its matte finish, the range itself is an absolute joy to cook with. This recipe, Garlic Herb Pork Tenderloin, uses the stovetop to create a golden brown crust and the spacious oven to roast the tenderloin to perfection. Start by patting your pork tenderloins dry and tying them with kitchen twine every 2 inches. This helps ensure even cooking of the meat and keeps all of the juices together. The garlic herb rub is made simply by mixing together olive oil, herbs, minced garlic, salt, and black pepper. This is where you can let your imagination run wild! If you have a garlic loving crowd, increase the garlic by a couple of cloves. Experiment with switching out the herbs for your favorite combination or adding an additional spice like cumin or crushed red pepper for some kick. Rub the mixture evenly over the pork tenderloins. Now it’s time to sear the tenderloins. Heat some olive oil in a large KitchenAid® 3.5 QT Tri-Ply Sauté pan. The interlocking grates on the top of the range are incredibly sturdy. I never have to worry about wobbles when I’m sliding or moving a pan around. Sear the pork for about 4 minutes per side until pork has an even golden brown crust. Add peeled onions to the pan and nestle them around the pork tenderloins. I used a combination of shallots and cipollini onions but you can use pearl onions, or even small red onions cut into quarters. The uniquely designed oven racks are easy to adjust and allow for ample room between levels. This makes transferring an already hot pan to the oven a breeze. Transfer the pan to a 425°F oven and roast for about 15-18 minutes or until an instant read thermometer reads 145° at the thickest part of the pork. The pork will have a nice blush pink color and be perfectly cooked! 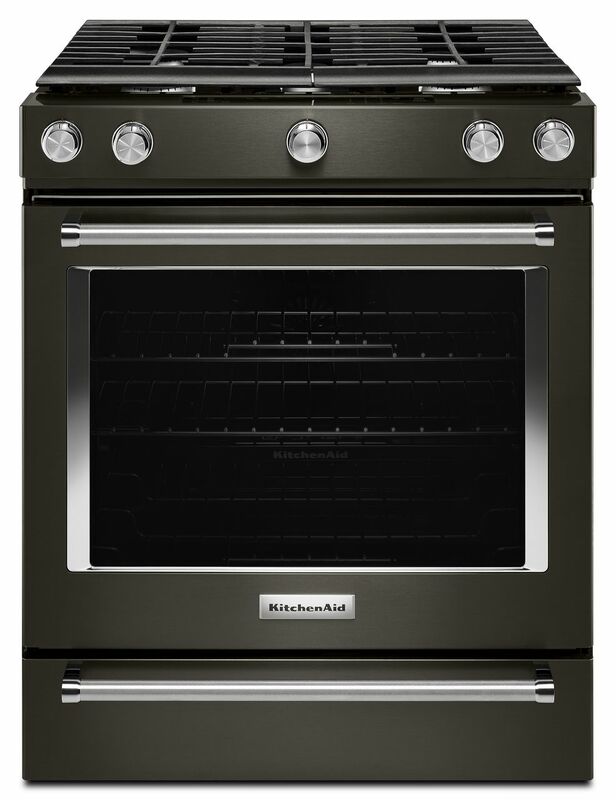 One of my favorite unexpected features of the KitchenAid® Black Stainless 30-Inch 5-Burner Gas Slide-In Convection Range is the bright oven light and clear front window. When that light is on, I can see my food so clearly and keep an eye on its doneness without opening and closing the oven every couple of minutes. As a result, the food cooks more evenly and the oven holds a steady temperature, which is so important! Remove the pan from the oven and transfer the pork to a platter and cover with foil to keep warm. To make the pan sauce, be sure you have at least a couple of tablespoons of fat still in the pan. If you have less than 2 tablespoons, add a little more olive oil to get started. Add wine and use a wooden spoon to scrape up any brown tasty bits from the bottom of the pan. That’s where all of the flavor is! Add broth and allow sauce to reduce by about half. Stir in coarse grain mustard and a pat of butter to give the sauce a lovely texture. A sprinkle of pepper finishes off this amazingly flavorful sauce. Serve the pork and onions with the wine sauce and just about any of your favorite holiday side dishes. 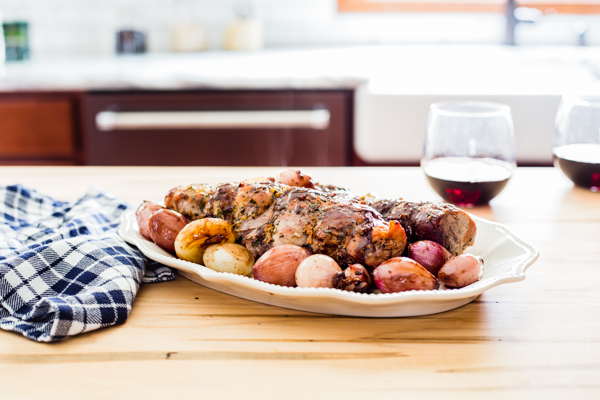 This Garlic Herb Pork Tenderloin with Roasted Onions and Mustard Wine Sauce is a perfect main course for any holiday get-together you have planned. In a small bowl, mix together 2 Tablespoons of extra virgin olive oil, fresh herbs, kosher salt, and black pepper. Pat tenderloins dry with paper towel and tie with kitchen twine. Rub herb mixture evenly over both pork tenderloins. 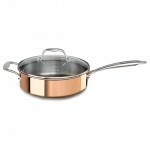 Heat the remaining 2 tablespoons of olive oil over medium-high heat in KitchenAid 3.5 QT Tri-Ply Sauté pan. Sear the pork tenderloins for about 4 minutes per side until golden brown. Add the peeled onions to the pan around the pork tenderloins and transfer to the preheated oven. Roast the pork tenderloins and onions for about 15-18 minutes or until an instant read thermometer registers 145°F at the thickest part of the tenderloin. Remove pan from oven and place pork on a platter. Do not rinse out your pan. Return pan with onions to the stovetop and place over medium high heat. Add enough olive oil to the pan to have about 2 Tablespoons of fat total. 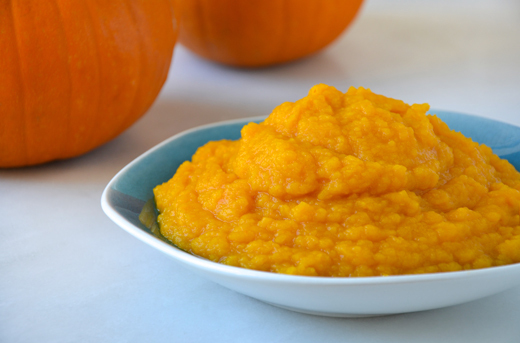 This could be 1-2 tablespoons. Add wine to the pan and stir with a wooden spoon, scraping up the browned bits on the bottom of the pan. Add broth to the pan and stir. Bring sauce to a simmer and allow liquids to reduce by half. Stir in the coarse grain mustard and butter until sauce is glossy. Taste and adjust seasoning with salt and pepper as needed. Serve the mustard wine sauce over the sliced pork and onions. For easy peeling of onions, place onions in a pot of boiling water for 60 seconds. Then strain and transfer onions to an ice bath. Use a sharp knife to carefully remove the root end of the onions and peel of the outer skin layer, being careful not to remove too many layers of the onion itself.